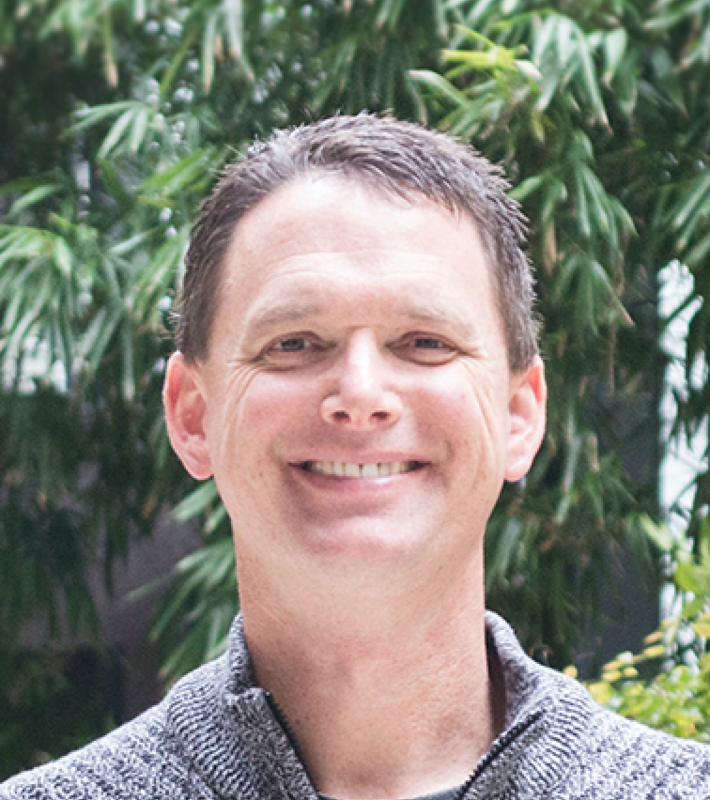 Tom Robinson ​(Washington) is the author of Fibonacci Zoo (2015), published by Arbordale Publishing, and illustrated by Christina Wald. To learn more about this mathematical story, and find out where you can purchase it, simply click on the book's cover below. We hope you enjoy reading Tom sharing his experience of working on this mathematical book project with you! I am fluent in Italian and during my summer holiday I work as a tour guide in Italy. I once appeared on the American game show Wheel of Fortune while studying at university as part of their College Week. I solved one puzzle and won a whopping $200. I organize my workout shirts in my closet according to the color spectrum, starting at white, then red, orange, yellow, green, blue, (purple), followed by grey and black. What inspired you to write a mathematical story for young children? And why did you choose to focus on the Fibonacci sequence? This part of the story is a little lengthy. At the suggestion of my wife, I originally wrote two (picture book) stories focused on science topics: capillary action and static electricity. These were fun stories with animal characters that experienced basic science phenomena in a setting young children could relate to. But there was also an activity component to the story as well, so readers could perform their own (safe) experiments to explore those topics. As I began to research publishers who might be interested in stories of that nature, I came across Arbordale. On their web site, I read this: A picture book approach to child literacy, science, math, and language learning. I got to thinking about how math might factor into literacy, language acquisition, and number sense, and immediately number sequences popped into my head. What better sequence than Fibonacci, right? And by alphabetizing the animals, I was able to include letter recognition in the process. But then it was a matter of how that might fit into a child’s life. That’s when the idea of a visit to the zoo to count animals came to be. Children love looking for animals, finding as many as they can, and the marriage of zoo animals and the Fibonacci Sequence was born. ​"Her oldest went to their local zoo, notebook in hand (to record his observations) and counted the animals he saw. He even called their local zoo the 'Fibonacci Zoo'. 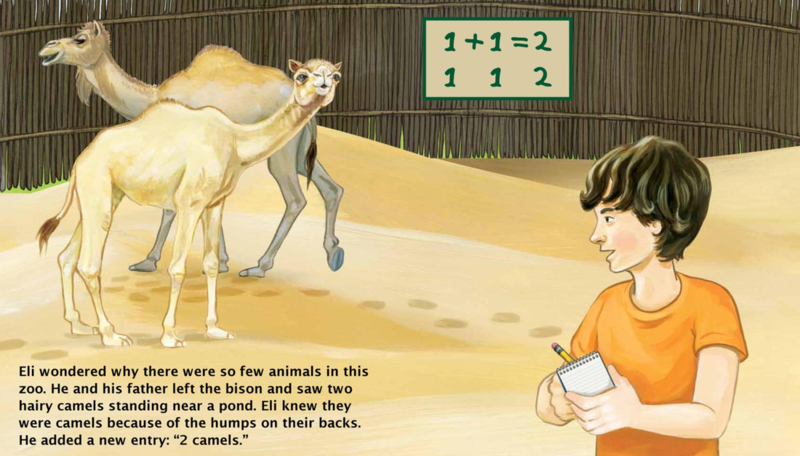 That child may very likely think about number patterns and sequences every time he visits a zoo for the rest of his life. As a writer, this feels like a victory." I am a firm believer in meeting children right where they are. As a maths teacher for more than 20 years, I have too often taught students who believe that maths are to be experienced outside of their regular life context, and I have worked hard to show them how relevant mathematics can be in their daily lives. My goal as a writer is to invite young children into mathematical stories that they can immediately relate to. My favorite example – one of my former students who is now a mother to two small children bought my book for her kids. Her oldest went to their local zoo, notebook in hand (to record his observations) and counted the animals he saw. He even called their local zoo the 'Fibonacci Zoo'. 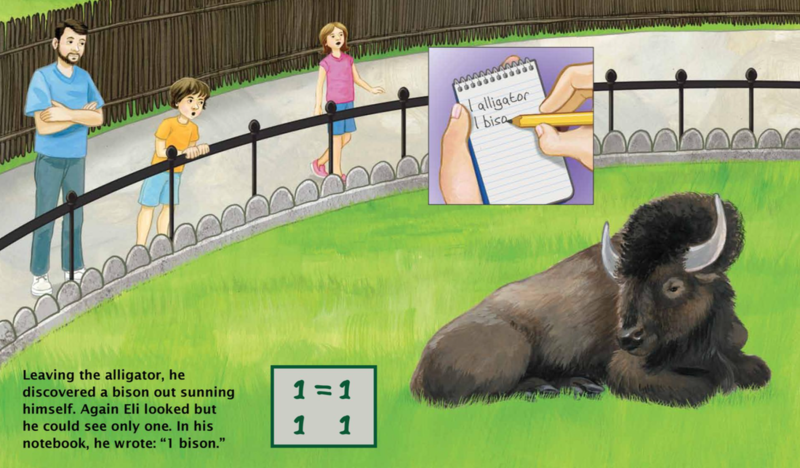 That child may very likely think about number patterns and sequences every time he visits a zoo for the rest of his life. As a writer, this feels like a victory. I didn’t struggle with this piece of the process. In looking for a setting that would allow children to actively count, record observations, make predictions and test those predictions, I wanted a place that would allow for that kind of time. A zoo is an ideal location because it is a large place where families typically spend a large amount of time. This time allowed Eli a chance to work through each of those key steps in the inquiry process. To that end, I’d like to mention my goal in including inquiry in the story. Children are by nature curious, inquisitive, and full of questions. What I wanted this story to help them do was formalize that curiosity, teaching them the critical steps of observation, pattern recognition, prediction, and testing. By having Eli bring a notebook to the zoo to capture his observations, I was able to use him to model that process in a means that felt natural. If a child can learn to do formally what many already do instinctively, he can accelerate his learning process not just in maths but in all areas of his education. In the case of Fibonacci, I had the sequence in mind but had to figure out where a child might encounter a series of objects that he would want to count. I thought about a child visiting the zoo, looking for certain animals, and about the excitement he would experience in finally seeing them. Immediately, it was clear that if the first animals he encountered were small in number (first values 1, 1, 2, 3…) he would begin question the odd nature of this zoo. At that point, I felt I would have had the reader hooked. With my publisher, illustrations come after the entire manuscript is revised, edited, and approved. More on that later. Once the manuscript was finally accepted, my editor went out and found an illustrator (Christina Wald) who brought the zoo and its animals to life. For me the most challenging part was the editing process. Originally, my manuscript was too long (about 1400 words) and written at too high a level (about age 12-13) for the intended audience. For the first rewrite I was asked to write for an audience aged 5-6 and to keep the manuscript to 100 words. Obviously, with 16 spreads for writing, that completely changed my ability to tell a story with a plot and reduced the story to simple key words. Eventually, we compromised at around 400 words and an audience age of around 8-9 years old. Choosing each word very carefully, breaking compound sentences into smaller pieces to reduce the reading level, and continually testing to see just what the reading level was turned out to be interesting but very challenging. Curiously, we had two major obstacles to overcome regarding vocabulary choices. First, we had to decide whether to use the word ‘buffalo’, which is more common in English, or ‘bison’ which is the proper term for the animal native to North America. I settled on bison in order to be scientifically accurate. Also, we had to decide whether to use the word ‘hippopotami’ as the plural of hippopotamus. I opted not to, as I believed it would only confuse early readers. The most satisfying part of the entire process was watching the illustrations bring my story to life. I was not allowed to meet, nor speak with Christina (the illustrator) during that process. In fact, we still have never met in person as she lives in Ohio and I live in Washington state. At first I was a little taken aback by that policy. But eventually, I saw the wisdom in it. She added details to my story that I could never had imagined, and made the zoo such a bright, fun, colorful place for children. I was shocked by the warm feelings I had about my story as I saw her match her drawings to my words. As I mentioned, this part of the process surprised me, as I was not allowed any contact with my illustrator during the illustration process. The reason for this was to prevent me (the author) from influencing the illustrator in terms of what to draw. Arbordale prefers to allow illustrators to read the manuscript and create the world THEY see in the words, rather than be pushed in a certain direction by the author. As first, I had a hard time letting go of that control over the story. And to be clear, I was given full veto power over the illustrations had any of them not been true to the story. But when I compared to what I had envisioned in my head to the world Christina created, I was fully sold on the process. Her interpretation of the 'Fibonacci Zoo' environment was so much richer and vibrant than I ever could have imagined. In the end, I was very pleased with the illustration process and by how much her work added to my story. One thought – I was a little unsure how to include the repeated references to the sequence in the manuscript. But I thought Christina really captured those references nicely and the way she embedded them into her illustrations made them seem quite natural, even though in the context of a typical picture book, they were anything but natural. How long did it take you to work on the book? I wrote this manuscript in the spring of 2013 and first heard back from the publisher in August of that year. By November, I had a contract and we spent the next few months editing, revising, and improving the manuscript, which was finally accepted in late winter 2014. From there, it took several months to first find an illustrator and then for her to produce the drawings. The final version was ready by fall of 2014, and the initial release date was set for early 2015. However, due to a surplus of titles being released on the original release date, Fibonacci Zoo’s release was postponed until May of 2015. Thus, in total, this project took a little over two years to complete, from conception to public release. to be. As I alluded to earlier, the second version of this book was written for ages 5-6. My third version of the manuscripts put the age level at least in a reasonable range. Once I finally neared the right age level, I then had to focus on reading level. One advantage to writing a story about maths, numbers in particular, is that readers can often make up for some delays in literacy development through numbers. Specifically, when working with a sequence such as Fibonacci, even non-readers can typically count animals and discover the simple pattern. That helps make a story like this one more accessible to all reading levels. ​​​​​​​​​Still, I struggled with compound sentences and only through the editing process did I learn how sticking two thoughts together with a conjunction increases the reading level of that sentence dramatically. I therefore went back and broke many of my longer sentences into two and sometimes three short ones. ​One interesting challenge we had was dealing with words like hippopotamus. A word that long tends to increase the reading level of a sentence or a page all by itself, often unfairly. Thus, I learned a trick. We used the Readability analysis available through Microsoft Word to check each page’s reading level. When I encountered a word such as hippopotamus, which could not be replaced by a simpler word as it was germane to the story line, I would temporarily use a word like ‘dog’ in its place so that I could analyze the rest of the text on the page but omit that long word. Once I had established the reading level without the problem word, I reinserted that word and continued. This became a time-consuming, but ultimately, intriguing process. 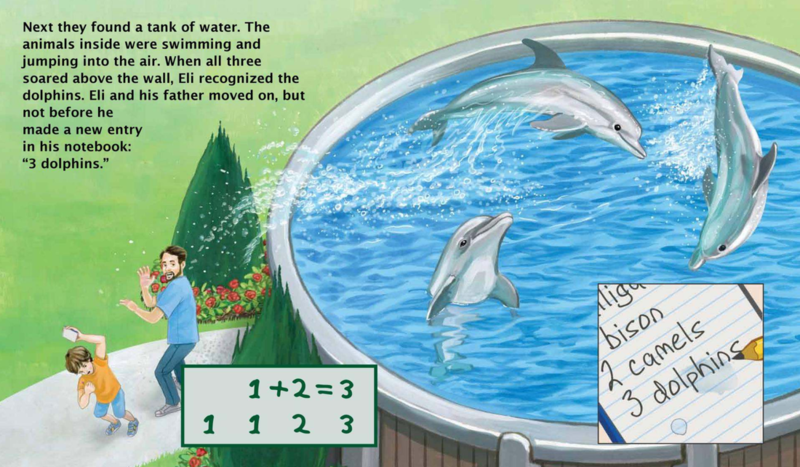 ​On reflection of your maths picturebooks, how would you comment on the diversity of the books’ characters? Would you have done anything differently in terms of the diversity of the books’ characters? Well, this story isn’t very diverse. It’s about a Caucasian boy visiting the zoo with his Caucasian father. I sometimes worry about being too boy-centric. But then I wonder if I, a male author, were to write about a female character, would it come across as pandering and insincere? For this first (of what I had hoped would be many) stories, I chose a boy and his father. In fact, the ‘sequel’ manuscript I wrote, telling the story of Pascal’s Triangle, was about a girl and her mother on a visit to an aquarium. Representing genders and even ethnicities is something I always worry about, perhaps more than I need to. Curiously enough, I never once told my illustrator what color of skin Eli would have, and the name Eli lends itself to a variety of possible ethnicities. And yet she drew him and his father as Caucasian. Maybe it’s just too easy to overthink this. I probably do. Growing up I don’t recall having many options for mathematical stories. Most of what I read were fantasy (such as Chronicles of Narnia) or standard fiction (such as Encyclopedia Brown or Charlotte’s Web). In fact as my children grew up, I noticed a shortage of meaningful mathematical stories for them to read or for me to read to them. In many ways, that was a fundamental motivation for me – to write stories to fill that void of meaningful mathematical or scientific books for children. Do you think the use of storytelling in mathematics learning is only applicable to young children? Do you think this could be used in maths lessons in secondary schools too? As a secondary teacher, I have mixed feelings about this. I also teach physics and on one hand, I present the ‘book of physics’ as a series of stories. They aren’t published in book form, but I try to impress upon my students the power of storytelling. Namely, that when we hear a good story, we tend to remember it and often want to share that story with others. Conversely, when we are told to memorize a list of formulas, engagement, retention, and desire to retell often decrease. So yes, I do believe in the power of storytelling. Having said that, I struggle to find stories that properly convey some of the more complex concepts in maths, and I tend to agree that an attempt to ‘storify’ maths could easily be received as being childish. Still, to the extent that I can tell stories to my maths students (one of my favorites is one I made up on the spot about the development of our number classification systems from natural, to whole, to integers, to rational, etc.) those stories stick with my students and the mathematical concepts underlying them also stick with them. "If we can provide them with engaging stories, ones they want to read over and over, that also lay a foundation of mathematical understanding, that understanding will indeed last them a lifetime." What do you think are some of the key benefits of children developing their mathematical understanding through mathematical picturebooks? Children make powerful connections through the stories they read, especially as emerging readers. Often, those connections, positive or negative, last a lifetime. If we can provide them with engaging stories, ones they want to read over and over, that also lay a foundation of mathematical understanding, that understanding will indeed last them a lifetime. I firmly believe that even a small ‘jump start’ in learning at a very early age gets magnified throughout childhood and into adolescence and can lead to powerful learning experiences for a child. I recall a wonderful young lady named Julieanne who attended one of my presentations on 'Fibonacci Zoo'. Julieanne was in third grade. Between my presentation during school and my evening presentation, she wrote and illustrated her version of my story. She included new animals, a new setting, and extended the sequence well beyond the point my story reached. That evening, she proudly presented me with her ‘book’ as a gift and it remains one of my greatest treasures. When I think of the thoughtful analysis that went into Julieanne’s book, I am astounded. She had to fully grasp and embrace the pattern in Fibonacci. But then she also had to create a setting for the sequence and then develop a storyline/plot to support the setting and the development of the sequence. Finally, she took the time to illustrate her story and produce a ‘book’ format to present to me. ​For a young student, that process represented a collection of critical thinking skills all put together in the right order. That she was able to complete all of that in a single afternoon told me that she was well on her way to even more challenging thinking tasks in her life. That single experience transcended many of the skills she was learning in school and was a joy to witness. I think the best place to start is in the world around you. Start by exploring your world, searching for maths in the everyday experiences we all share. From there, recount those experiences in story form. It doesn’t have to be a masterpiece. More important is the process of taking daily life and turning into a story with mathematical underpinnings. ​My final piece of advice is to write story after story after story. Authors tend to write multiple manuscripts before hitting on ‘the one’. Children should write as much as they can, because every story they tell, each time they create the words to tell their stories, the connection between language, maths, and the world around them is strengthened. In retrospect, I advise prospective authors to heavily research the publishers who might want to buy their stories, even before starting the writing process. Publishers, and even specific editors within each publishing house, are usually quite clear about the types of stories, genres, and formats they are looking for. That was a big part of my process in finding Arbordale, who eventually published 'Fibonacci Zoo'. ​Alternately, a writer can just write. Get as many stories on paper as possible, in whatever format feels most comfortable. Then, once a manuscript (or multiple manuscripts) is ready, that same research I described above will often identify the two or three top potential publisher matches. As a maths instructor I am intrigued by the possibility of changing a student’s course of study early in his or her academic career. I found your resources section to be remarkably substantial, given the short time your site has been live. In particular, I enjoyed seeing the results of your research into specific titles that address specific topics in mathematics. As a parent, I would enjoy pursuing those stories to read to my children. The research is an area of your site that I would like to look into further. My initial impression is that your focus is on early learning as opposed to learning in the later grades. I would like to see some longitudinal studies (perhaps some are already in process!) that look at the effects of early exposure to maths stories and experiences on students’ ability, achievement, and interest as they reach secondary mathematics and begin exploring more abstract notions such as algebra, calculus and statistics. In short, I think this site and its many resources, research projects and references for parents, teachers and student learners will be a significant contributor to change in mathematics teaching and learning. I look forward to seeing where it leads you and your readers, and I thank you for asking me to be a part of it! ​​Illustrations copyright © 2015 by Christina Wald from Fibonacci Zoo by Tom Robinson. Arbordale Publishing. Have comments about this interview or Tom's book?